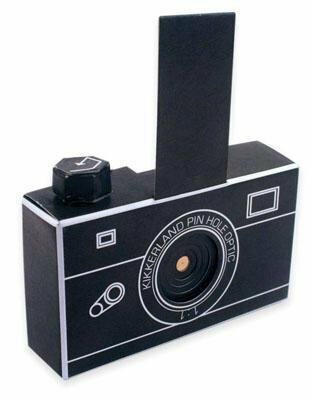 Build your own pinhole camera! No knife or scissors required. The camera uses 35mm film (not included) and does not have optical lenses. Film is exposed by light through a tiny hole in front of camera. Because there is no lens, the image will be in focus at all distances. 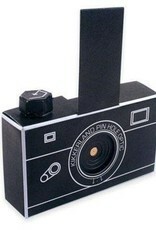 Best pinhole pictures are taken on a bright day.